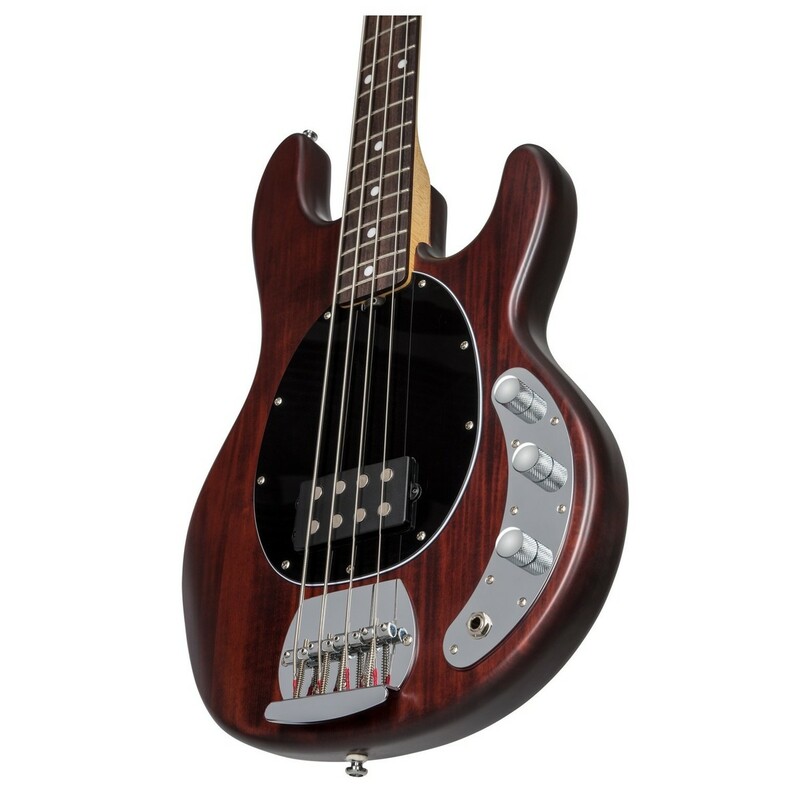 The S.U.B by Sterling Ray 4-String Bass is a relative of the Music Man Stingray 4 and is certainly recognisable with its curvaceous body and familiar oval pickguard shape. 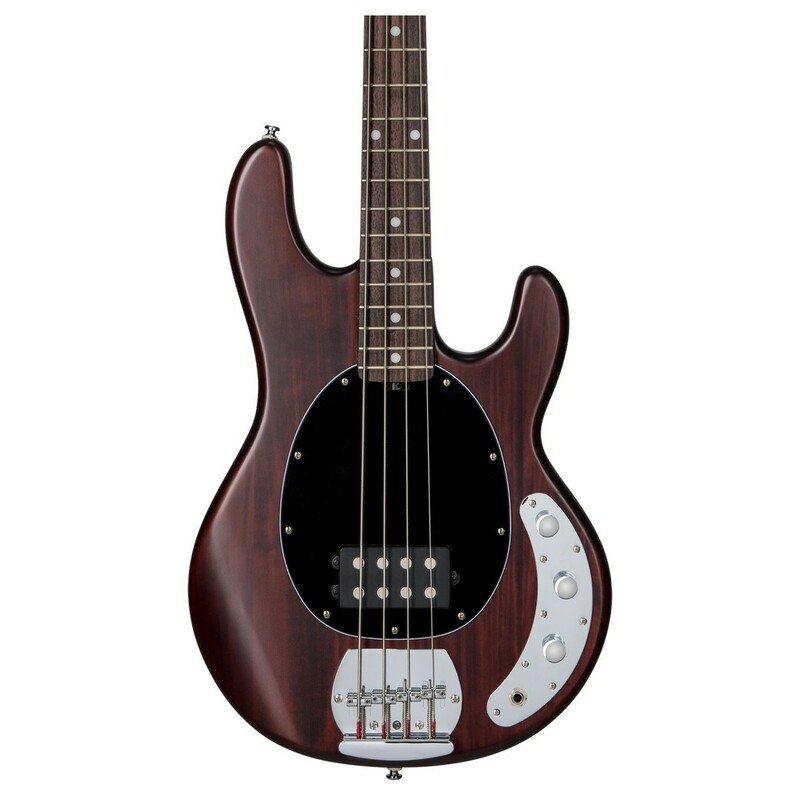 This offers some of the exceptional Music Man Stingray playing experience at an affordable price point. 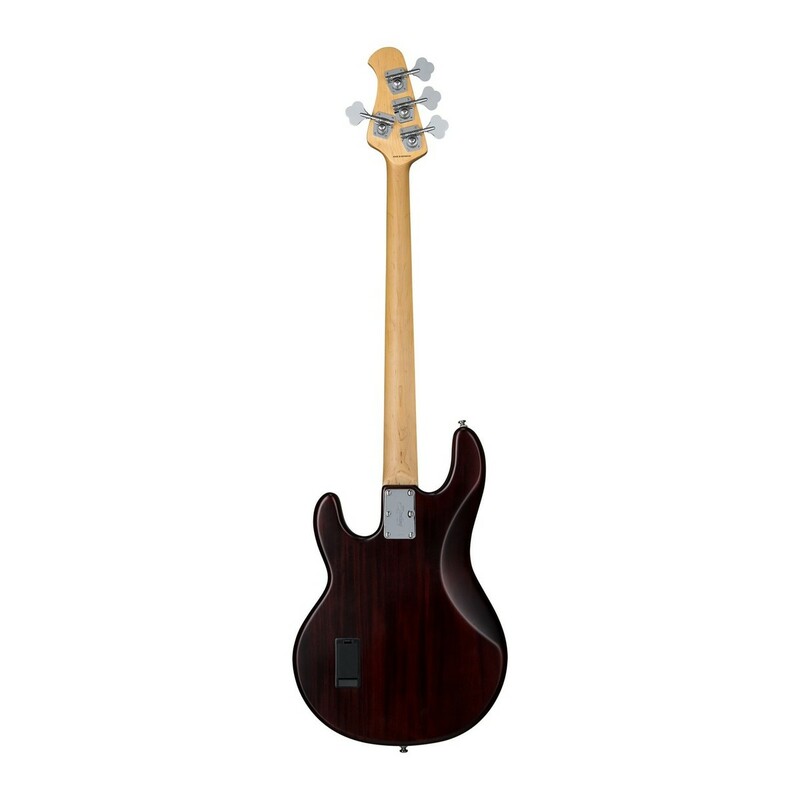 Crafted with a lightweight basswood body, the Ray4 offers a comfortable playing experience and a defined tone with great dynamics. For an even more versatile performance, the SBMM Humbucker and 2-Band Active Preamp give excellent tone shaping capabilities so that you can always find the perfect tone that you need to rock-out with that night. The satin finished maple neck enables smooth left hand transitions and provides clarity and brightness, while the rosewood fingerboard produces a snappy, tight attack. 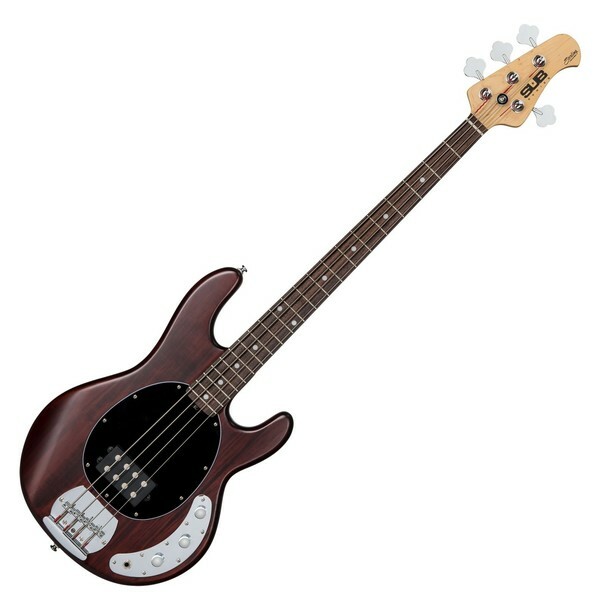 This is a classy instrument with excellent playability and tones, designed for the aspiring musician. Loaded with a high output SBMM Humbucking Pickup, the Ray4 produces loud yet clear tones with plenty of on-board tone shaping options. The pickup and 9V active preamp work perfectly to preserve the natural sound of the bass, whilst offering a platform for you to sculpt the tone to exactly how you like it. The controls include volume and high/low cut and boost, enabling you to find your own signature sound. The basswood body means that the Ray4 is lightweight and is easy to rock with during those long gig nights or practice sessions. The tone of the Ray4 offers good dynamics and excellent definition; perfect for creating a versatile and defined performance. The tone produced by the basswood is not too bright yet not too warm, and is ideal for players who prefer to use their on-board preamp and amplifier-controls to sculpt their sound rather than relying entirely on the characteristics of the tonewood. 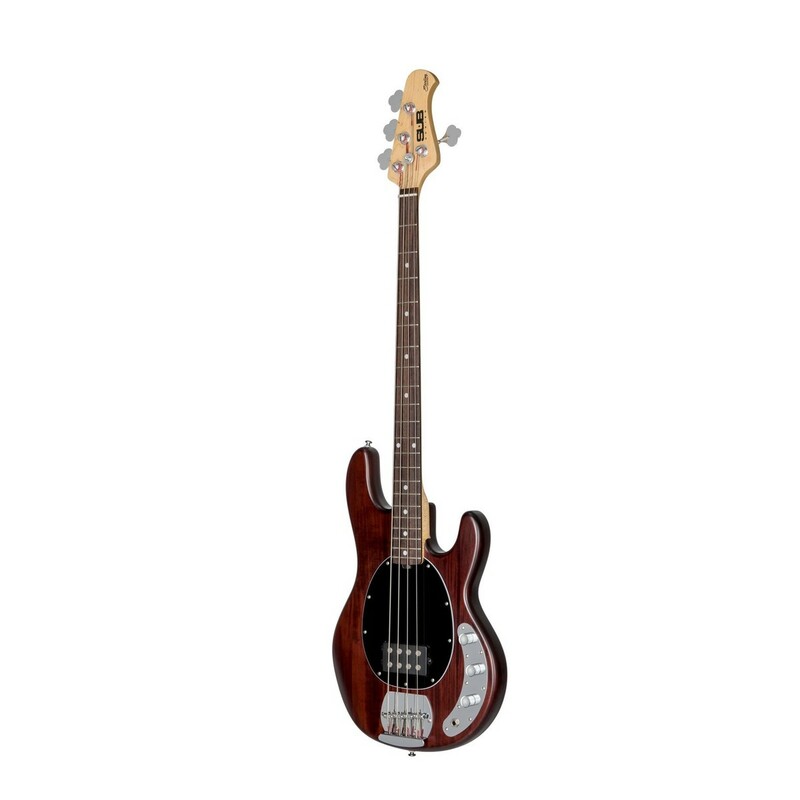 The Ray4 features a smooth maple neck which enables fast and comfortable playing. 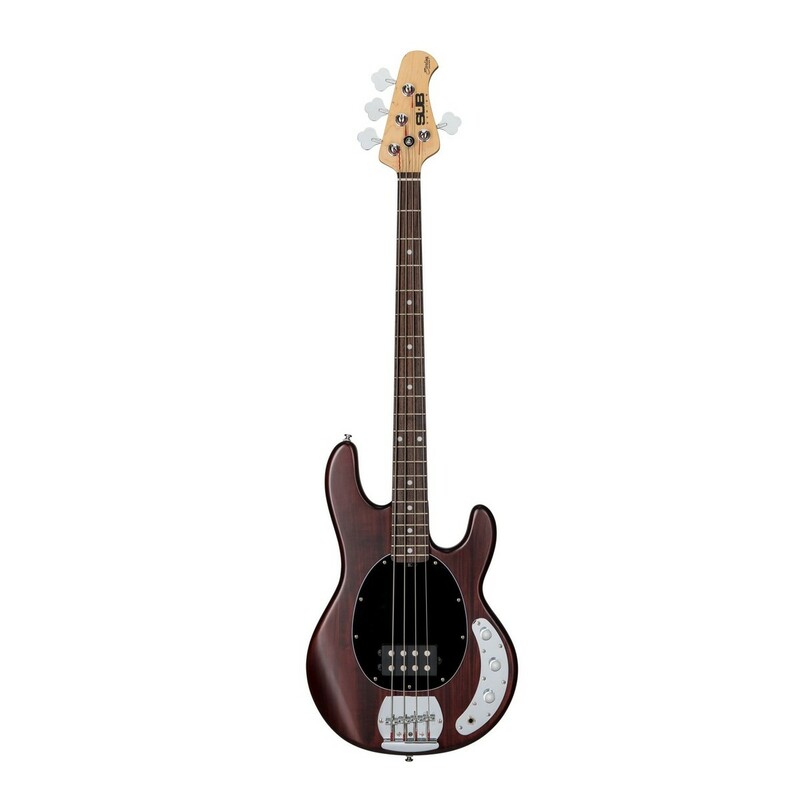 The smooth feel of the maple is complemented with the silky touch of the satin finish which looks and plays great. The maple neck yields bright and twangy tones with amazing clarity while the rosewood fingerboard offers tightness with snappy attack. The bolt-on neck offers excellent strength which helps maintain tuning stability so you don't have that worry whilst you are rocking out.